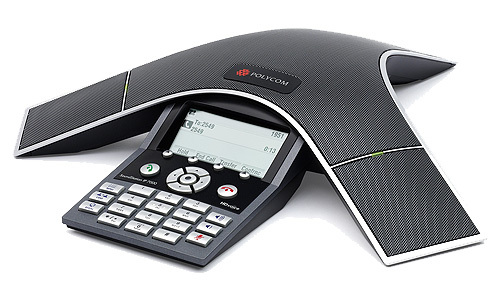 Polycom SoundStation IP 7000 Conference Phone | 8x8, Inc. The SoundStation IP 7000 is a breakthrough conference phone which delivers outstanding audio performance. It is the most advanced conference phone ever developed, and is ideal for large conference rooms, boardrooms, and executive offices. It features Polycom HD Voice technology, boosting productivity and reducing listener fatigue by turning ordinary conference calls into crystal-clear interactive conversations. It delivers high-fidelity audio capturing both the deeper lows and higher frequencies of the human voice for conference calls that sound as natural as being there.